Hey my lovely divas and future brides! I have heard that you are getting married soon, is that true? If you have said “yes” to your partner recently, now you have to plan everything, starting from the wedding dress, shoes, hairstyle and makeup and other details that are not fashion related. We are always here to inspire you and awaken your creativity and if you are our faithful reader, you have probably seen the most beautiful wedding dress collection that have appeared in the bridal industry. 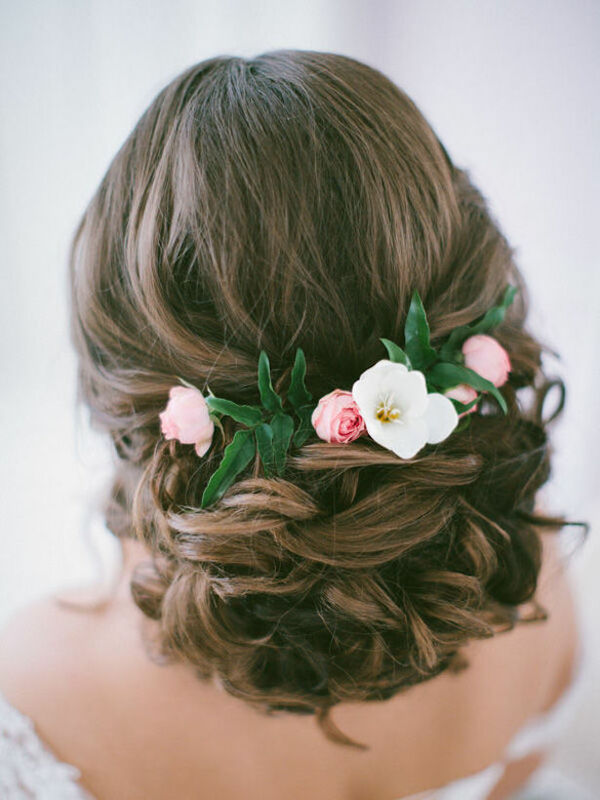 The dress may be the most important, but you won’t look complete without a beautiful hairstyle and makeup. 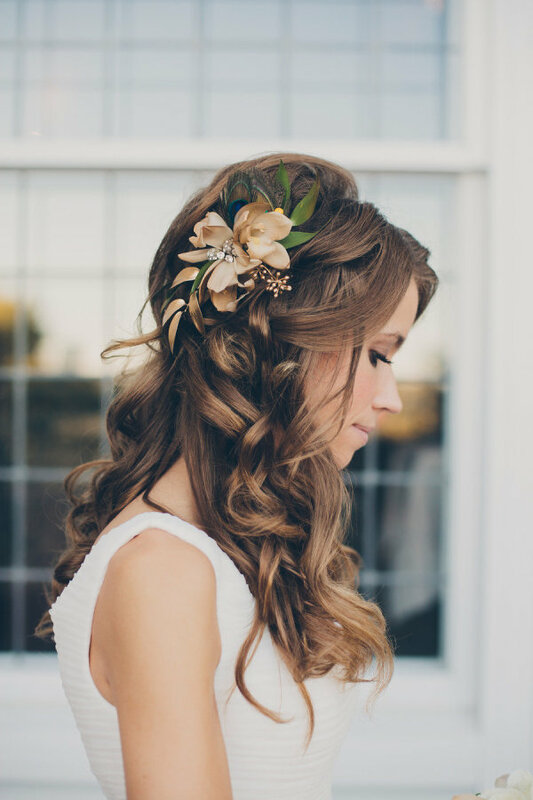 For today, I have a collection of 15 marvelous hairstyles every bride need to see. Are you excited? All of the hairstyle ideas that you are going to see here are astonishing and will take your breath away! So, let’s check this collection out and draw some inspiration! 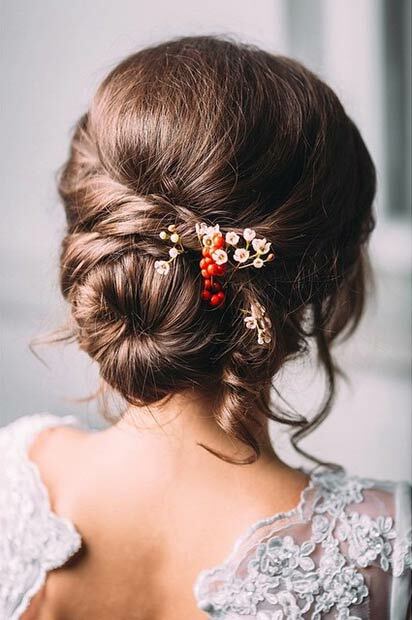 You may find a hairstyle from your dreams and the one that will fit perfectly the wedding dress you have chosen, the shape of your face and hair length. Enjoy and have fun! 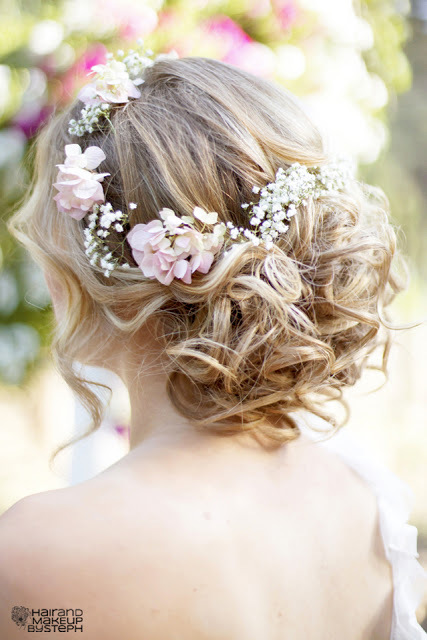 The classic hairstyles became boring when the bridal hairpieces appeared and started to gain on popularity. Nowadays, they are as important as the dress and even some dresses come together with such a hairpiece. You can find them in so many different styles and designs. Some are made of lace, just like the dress, while some are made of fresh flowers or pearls and crystals. 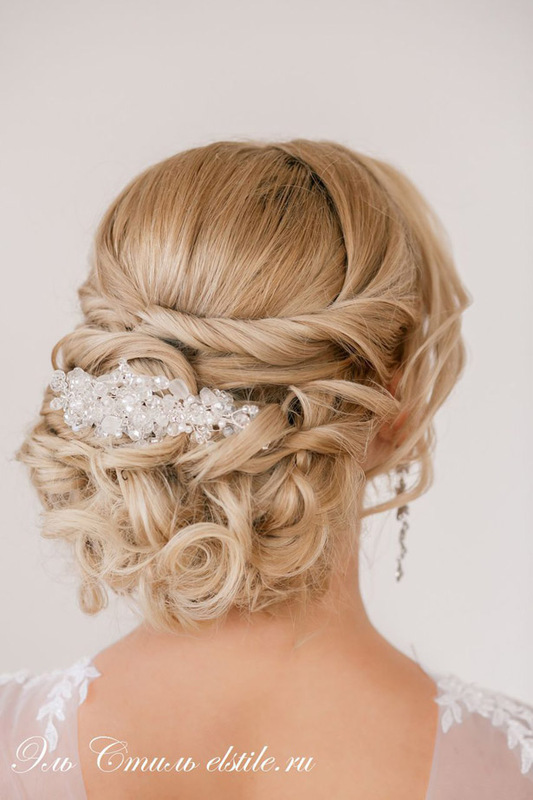 It is up to you, your style and taste what kind of accessory you will add to your hair for your big day. 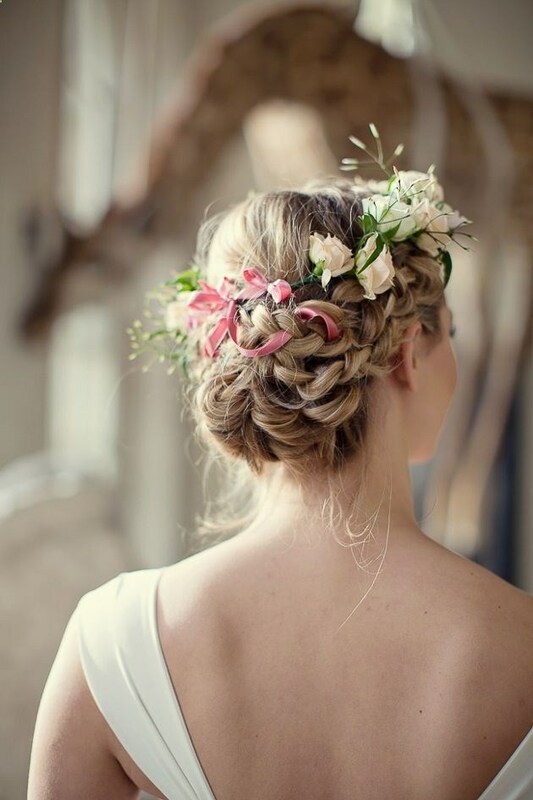 The free style brides usually prefer wearing bohemian wedding gown and usually they complete their look with a floral crown. 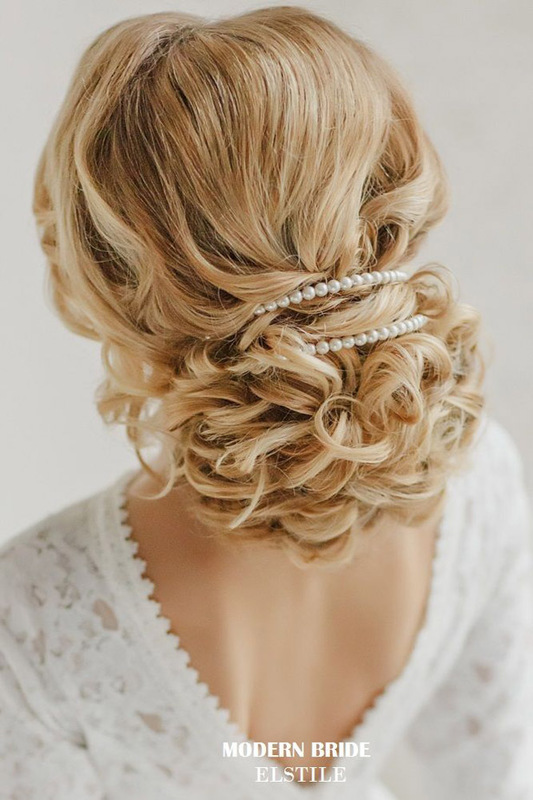 The more sophisticated and modern brides prefer wearing something more glam and fancy like a shiny crown made of pearls, zircons or crystals. Every type of accessory has its own beauty and can make every bride far more beautiful and astonishing, and the pictures here are a perfect proof of that. What do you think about these hairstyles? Which one is your favorite? You can share your opinion in a comment below. If you have some other suggestions, feel free to share them too, because I would like to see all of your ideas. 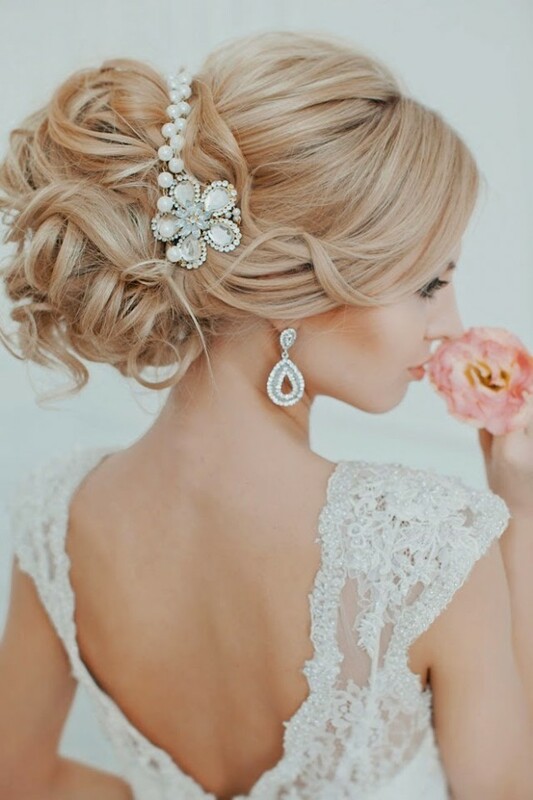 Pick the idea that you like the most and be the most beautiful bride in the world. Thank you for reading! 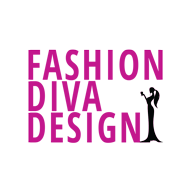 Enjoy in the rest of your life and don’t forget to stay up to date with the content of Fashion Diva Design!